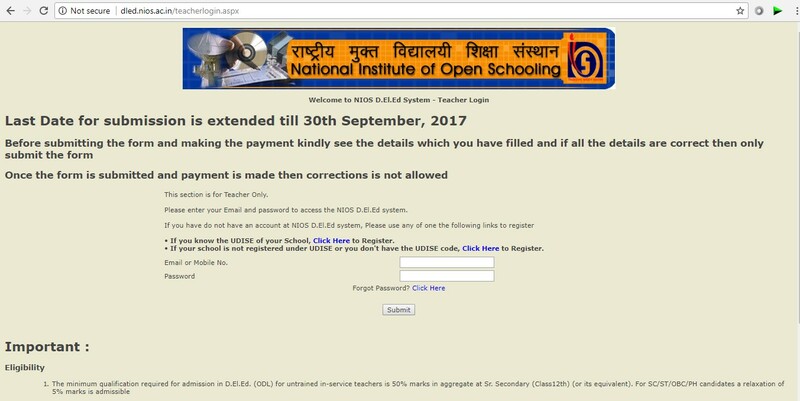 Please enter your School Details along with Email, Mobile and Password to register for NIOS D.El.Ed system. 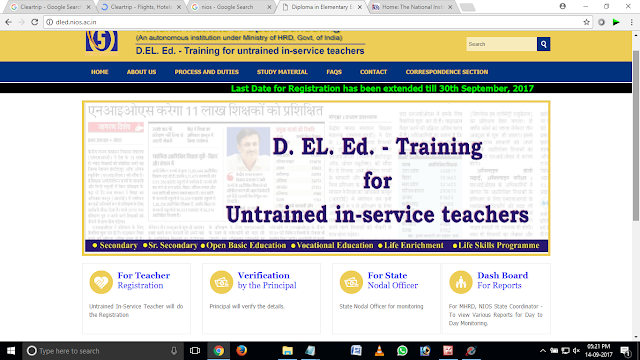 This section is for School Principal. Note: Last Date for Online Submission or Registration of NIOS D.El.Ed Untrained Teacher is extended till 30th September, 2017. Ary liata WhatsApp Nawbaw nata E-mail palasapa lia heta a hiahri pasia thei.